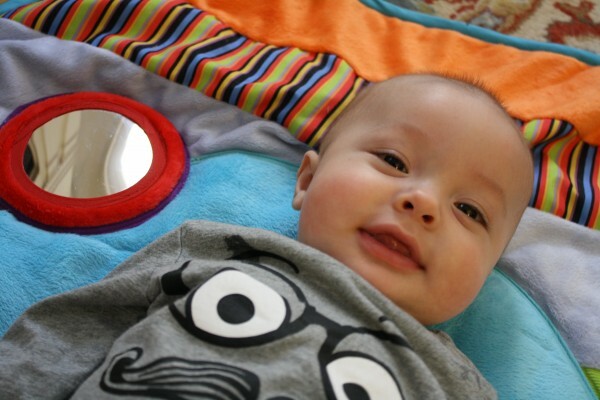 That mat is perfect for tummy time. 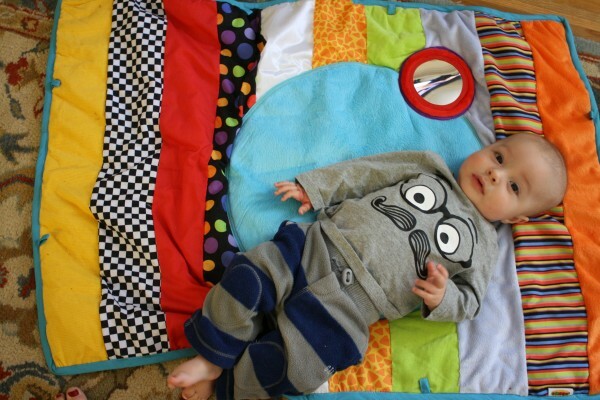 Friends have recommended putting a mirror under Elliott to help him like tummy time more and this mat has one already built-in. The mat has lots of different colors and textures and babies that are Elliott’s age are really into various textures. 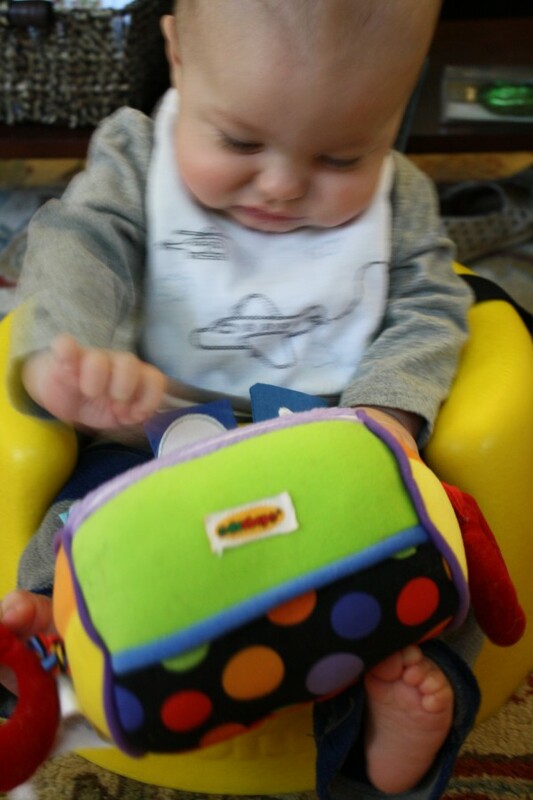 The peek-a-boo roller has flaps (the star, moon, and sun flaps shown above) that crinkle when he touches them. He’s really into crinkle sounds and other things that make sounds so he loves feeling these flaps. The fact that this toy will be usable for months! So many toys for babies are good for only a small window of time, but the toys that come with this set will keep him busy for months. I was quite tickled by the baby barbells when this toy arrived in the mail. 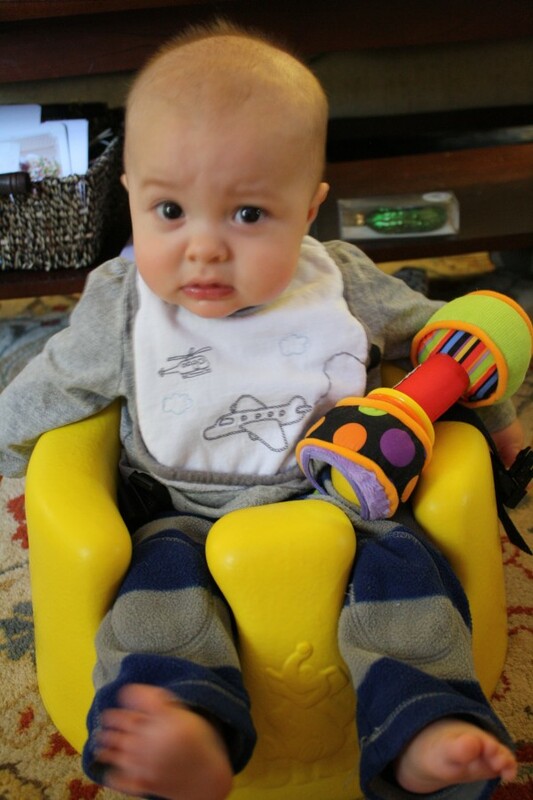 I did my best Arnold Schwarzenegger impression and told Elliott, “I’m going to pump you up.” haha. 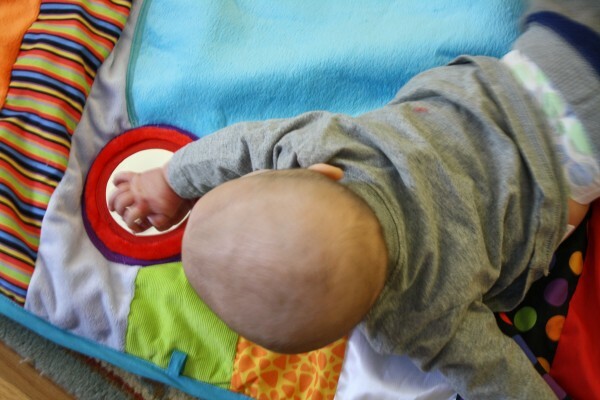 Another thing that Elliott really likes is that the peek-a-boo roller has a mirror and vibrates when you pull one of the rings on the end. He’s not strong enough to pull the ring yet, but he really likes things that vibrate, so I pull it for him and touch it to his face. Most importantly, this toy is currently $30 off. It’s typically $79.99, but is only $49.99 right now. I really love this toy. I am a big believer in independent play in order for babies to develop skills on their own and this toy is perfect for that. 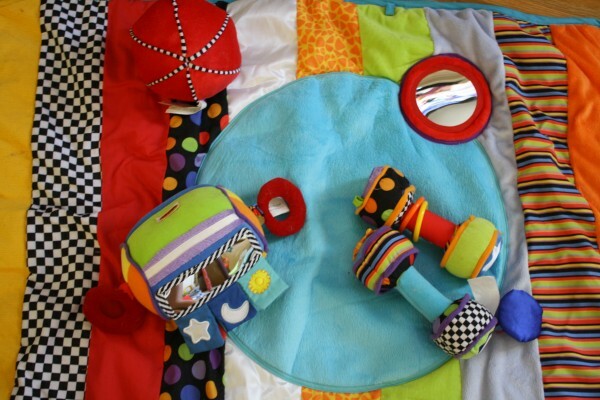 With so many different tactile sensations, it’s wonderful for encouraging sensory awareness. I can’t wait to see what Elliott is doing with this set a month from now! Learn more about the educational toys from CP Toys by following them on Facebook or going to their website.